Set among towering trees and rolling green grounds, The Lennox of Olathe delivers peaceful residences in a pleasant, well-established community—all strategically set in an advantageous Johnson County, KS location only blocks from Interstate 35. Whatever your day brings, you’ll love returning to a welcoming home and indulging in the comforts that greet you the moment you enter your apartment. 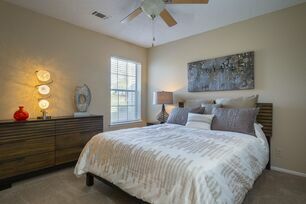 Inside, the recently renovated one and two bedroom floor plans showcase tasteful upgrades, including modern lighting fixtures, faux-granite countertops and vinyl flooring that stretches throughout common areas. With patios and balconies that extend from every apartment, you can enjoy the outdoors without leaving the privacy of your home. In-home washer and dryer sets enable you to get you through laundry day more efficiently, and generous storage spaces are also included for your convenience. The indulgences don’t end with your apartment at The Lennox of Olathe. 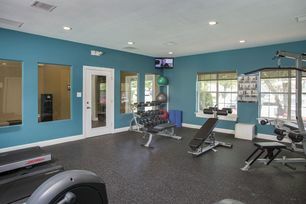 Luxury community amenities are available to all residents, including, a clubhouse with complimentary Starbucks coffee and Wi-Fi, a vacation-inspired pool and a well equipped gym. Advance your personal workouts with the half-mile trail that features fitness equipment, or give your four-legged friend a workout at one of the two on-site paw parks. 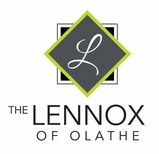 Discover beautifully balanced living at The Lennox of Olathe. Call today to learn more.